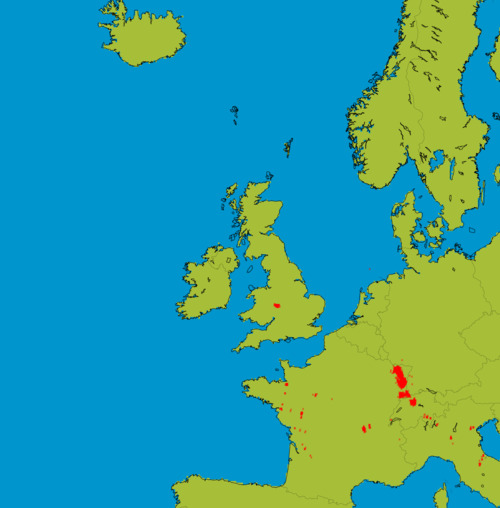 Metcheck.com - Weather News - Fine Away From The Northwest. 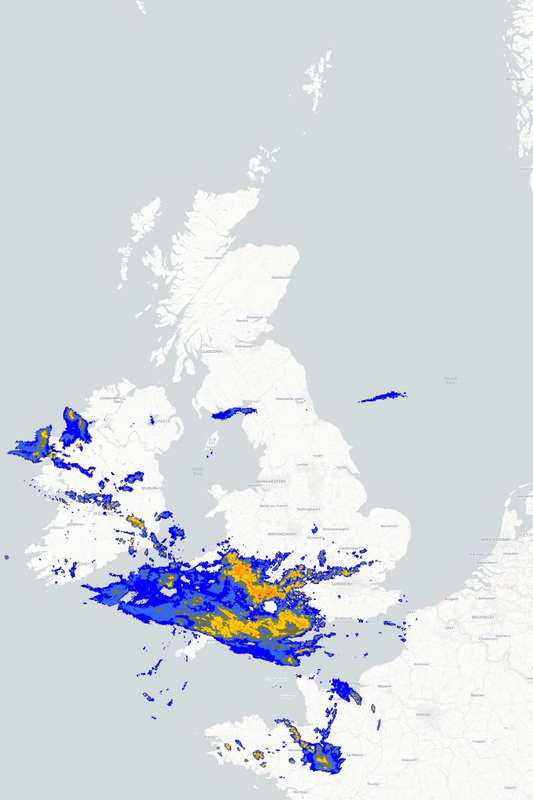 ▲ UK Storm Radar Storms Possible? We are being spoilt this year! Another fine and very warm weekend is on the way for many parts of Britain and Ireland thanks to high pressure continuing to ridge in across the country. However, for north-western regions it will be cooler and cloudier thanks to an Atlantic frontal system which will bring a little rain or drizzle at times. There are some areas of mist and low cloud around first thing this morning but these will readily clear to leave most places with a fine Saturday with plenty of sunshine around and temperatures responding well. 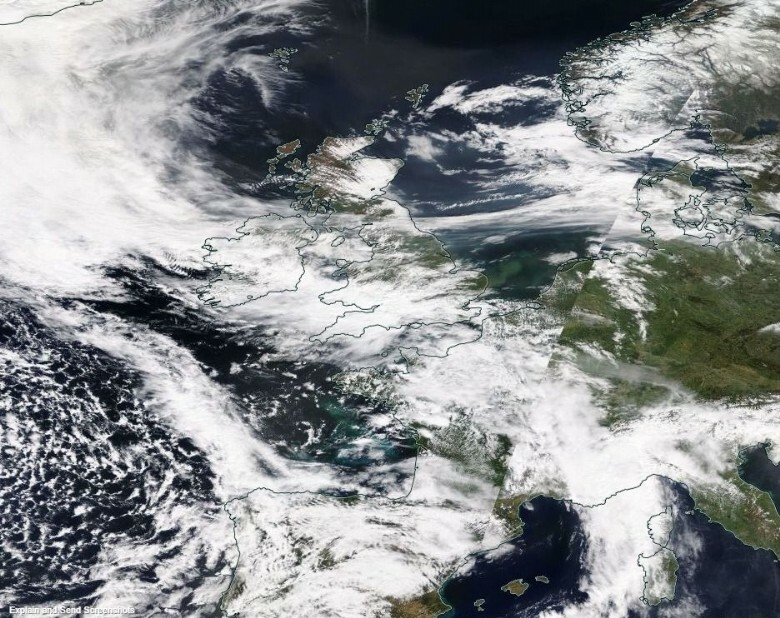 However, towards the north and west of Scotland along with north-western parts if Ireland there will be a lot of cloud around today with outbreaks of rain and drizzle at times, the rain turning heavy and persistent in places. Meanwhile, the odd heavy downpour could break out towards south-eastern parts of England later this afternoon, but they will be pretty isolated. Temperatures today will range from a rather cool 14°C to 16°C in the northwest to between 24°C and 29°C further south, but refreshing sea breezes will develop around coasts. Any showers that do form will slowly die out tonight to leave many areas dry with clear spells although the northwest will remain cloudy with some more persistent rain developing. Elsewhere some low cloud and mist will tend to form during the second half of the night but this soon burns off tomorrow to once more leave plenty of bright and warm weather with hot conditions towards the south and east of England, but for much of Scotland, Northern Ireland and the Republic of Ireland it will be a mostly cloudy day with some rain and cooler temperatures as a result. Please read our terms and conditions of using this site before copying or distributing any of our articles/discussions or forecasts. This is an article posted by one of the Metcheck crew (yeah... we're 'ard!) at Metcheck Towers. The site tools display pages on the site which will help you get more information on this article. If you have a MyMetcheck account then you'll be able to get updates whenever a front page article is posted on Metcheck so you won't miss a thing. So what ya waiting for? PLEASE NOTE : These articles could simply describing the latest numerical weather output and are subject to very wild and random changes. As such, they must NOT be either taken as gospel or issued as being forecasts issued by Metcheck, they are simply a description of what the latest NWP suggests. No agency/outlet is allowed to suggest that this is our "forecast" or "view".